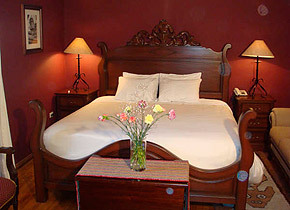 Casa Arequipa is designed with many details. Beds beautiful hand-carved dark wood. Firm, comfortable mattresses. Fine cotton sheets. Elegant, made of porcelain toilets. Overall, the details create an aura beautiful in each of the ten rooms. 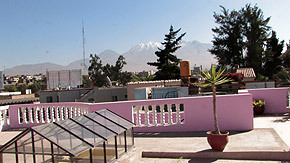 The breakfasts are excellent: fresh fruit, bread, freshly squeezed juice and hot dishes, served in the dining room of the roof in the context of the impressive mountains of the Andes.